What Is a Proper Monetary Wedding Gift? Cash gifts are always acceptable at weddings. 1 How Much Cash Do You Give for a Graduation Gift? 3 What Is Bridal Shower Gift Etiquette? If you've been invited to a wedding, you have three basic options for a gift: purchase a gift off the couple's registry, go out on your own or give a monetary gift. However, it is becoming more common for couples to not have wedding registries listed, especially if they already own a home or have lived together for some time. Not every newlywed couple needs a new microwave, but a cash gift is always acceptable. Keep in mind other events you have to attend around the same time, especially if you have multiple wedding invitations. Your personal monetary situation should also be considered, as the newlyweds will not be offended that your gift is not as extravagant if there is a more serious situation at home. Be realistic when it comes to placing cash in a wedding envelope; no one expects you to place yourself in an uncomfortable financial situation in order to attend. 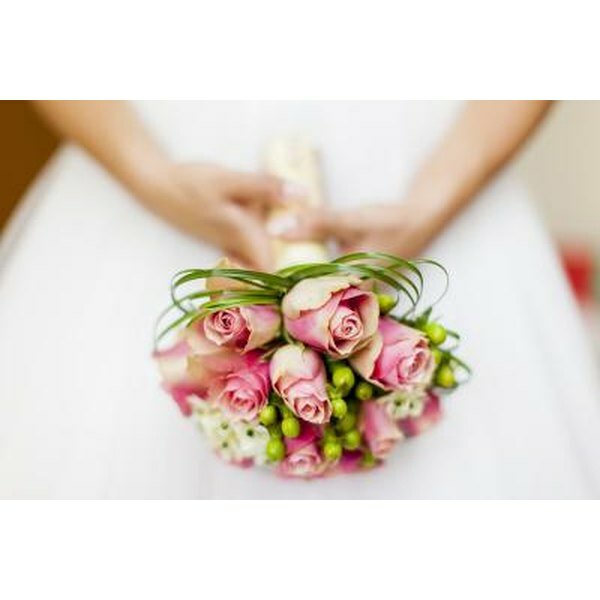 Monetary wedding gifts should be based on the guest's relationship to the bride or groom, according to Summer Krecke, deputy editor of WeddingChannel.com. For a coworker's wedding, you should spend $75 to $100; a relative or friend, $100-$125; a close friend or relative, anywhere from $100 to $150 or more. Factor in all the wedding-related celebrations, like the bridal shower, bachelor/bachelorette party and engagement party. Amy Keith, contributor to TheKnot.com, recommends breaking the monies into percentages so that the wedding gift gets the bulk of cash. Twenty percent should go to the engagement present, 20 percent to the shower gift, and the remaining 60 percent to the wedding gift. How Much Should Be Given in Cash as a Wedding Gift?